9″x12″ mixed media painting on paper covered wood stretcher. The sides are 1.5″ deep and are painted red. This painting is showing at the Kaleido Festival and will stay up at The Carrot for the month of September. It is available to purchase at The Carrot. Andrea Dworkin quotesImogen’s first day at school they had a funeral for all of their ‘I can’t’s’. They wrote “I can’t” on a piece of paper and their teacher buried them. This entry was posted on September 5, 2012 by mpwynters. 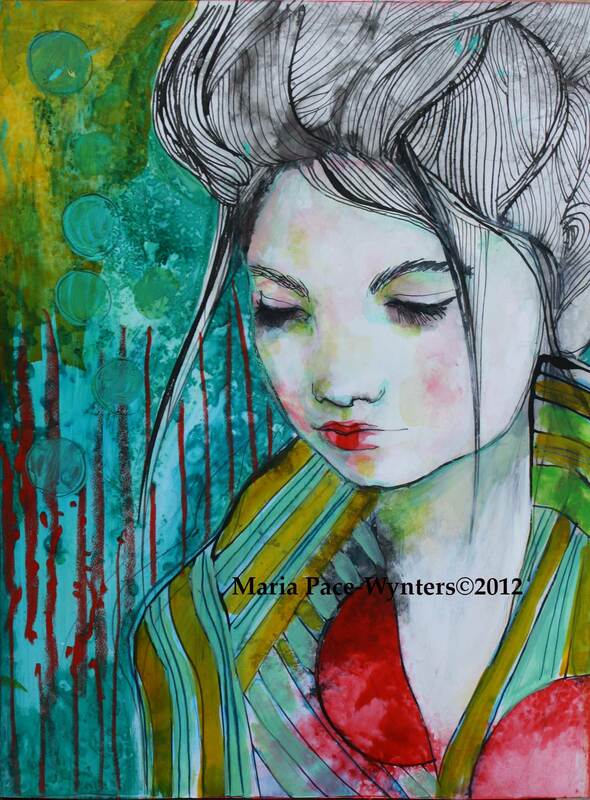 It was filed under bright colours, illustration, life, Maria Pace-Wynters, mixed media, Mother finding time, original art, Pace-Wynters, Painting, painting for sale, paintings, Uncategorized and was tagged with asian, Kaleido festival, Maria Pace-Wynters, mixed media, stone paper, stripes, The Carrot. Can’t find a price or how to buy.